The final of the Men's Singles of the Australian Open 2019 saw Novak Djokovic facing off against Rafael Nadal. The Serbian national easily beat Nadal 6-3,6-2,6-3 to clinch the title for the 7th time. The final of the Men's Singles of the Australian Open 2019 saw Novak Djokovic facing off against Rafael Nadal. The Serbian national easily beat Nadal 6-3,6-2,6-3 in three straight sets to clinch the title for the 7th time. This is a truly historical moment for Djokovic as he has now edged past Roger Federer's record 6 Australian grand slams. 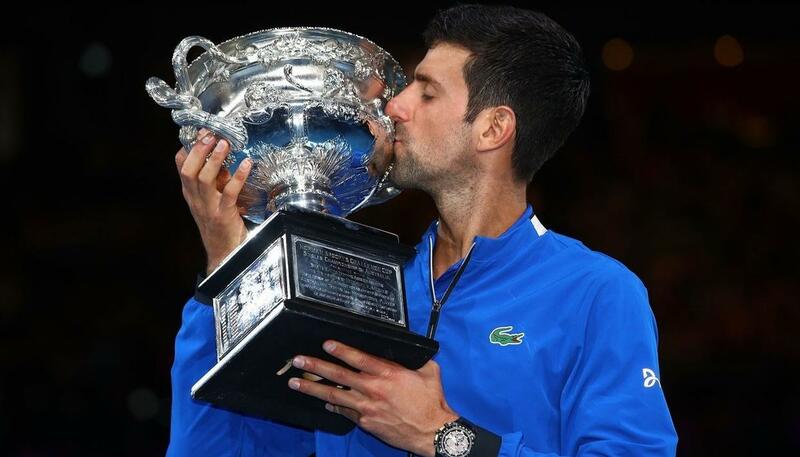 Not only that but with this victory, he now has an incredible 15 grand slam titles in his name. Continuing to talk about his journey in the tournament he continued, "It has been a very emotional two weeks. Even if tonight wasn't my best day, of course, I had somebody that played much better than me tonight. So it has been very important two weeks for me. I've been going through some tough moments since last year. Even if tonight was not my night it's very important to be where I am today, again coming back from injury." However, he took this defeat very sportingly and ended his speech on a high note. "I really believed that I played great two weeks of tennis that will be a good inspiration for myself for what's coming. I can just say thanks to all my team, who has been helping me since the beginning of my career." After Rafa's inspirational talk, the champion took the mic as he shared this historic moment with the world. "I'm just trying to contemplate on the journey in the last twelve months. I had surgery exactly twelve months ago and to be standing here in front of you today, and managing to win this title and three out of four slams this season is truly amazing." "To be standing now here in front of you today and managing to win this title and three out of four Slams is truly amazing." Serena Williams - Mother of all comebacks ?